As the wedding season approaches we’re expecting to see an increase in the boho style, with many brides opting for barefoot weddings, floral crowns, and rustic, outdoor ceremonies. We’ve scoured Pinterest for some boho inspiration. There is definitely a festival feel to this style which would be pretty wonderful for a Summer wedding don’t you think? We like to stay on trend here at Sweet Mabel so we are now stocking our own boho themed wedding range thanks to party supplier, Ginger Ray. For more wedding decorations and gifts, pop over to our online shop and have a browse. It’s great to be back after a very lovely Christmas and New Year. As always the festive period was filled with plenty of fine food and copious amounts of prosecco; there really is no better way to celebrate. Celebrations aside it was also rather lovely to put my feet up and start making plans for the year ahead. Fortunately I did get a new moleskin diary for Christmas so I spent many an afternoon scribbling away in my treasured black book. I was also lucky enough to receive two new interior books as gifts: Selina Lake’s Winter Living and The Shopkeeper’s Home by Caroline Rowland. They are both fabulous and jam packed full of inspiration, I highly recommend them to anyone with a passion and love of interiors. 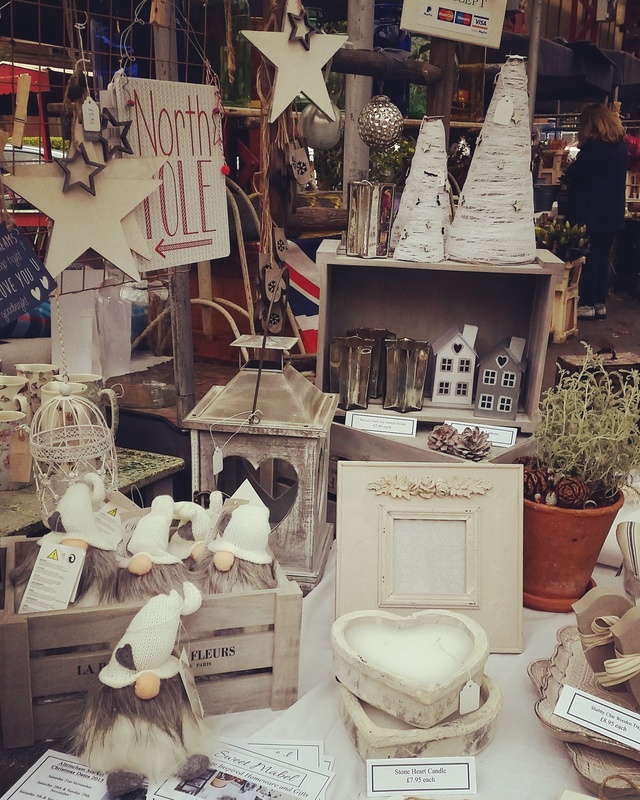 Our virtual shelves will be filling up over the next few weeks with more handmade gifts and we’ll be preparing for our first market of the year in Altrincham. With so much to look forward to we can’t wait to share it all with you! 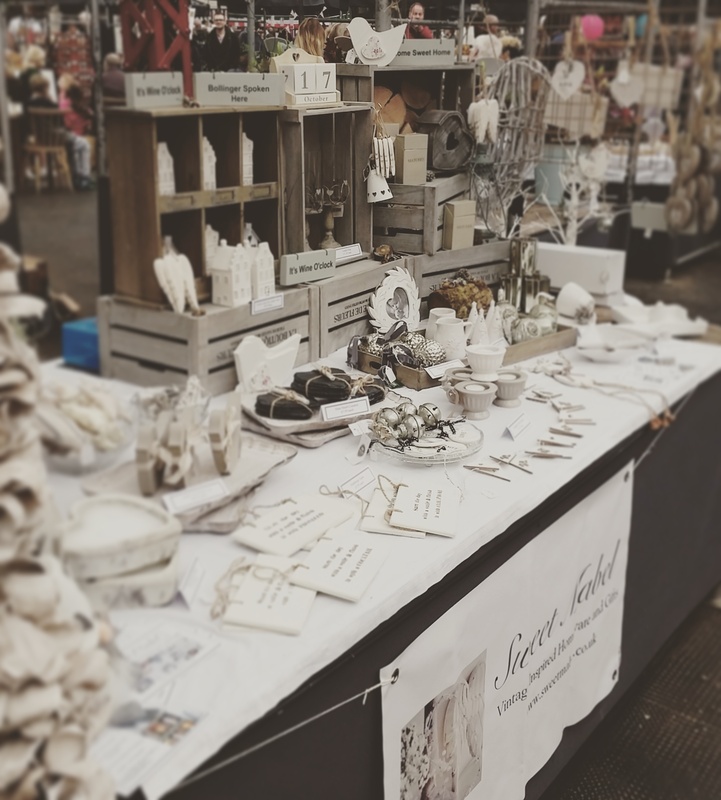 We had another fabulous day at Altrincham Market on Saturday. 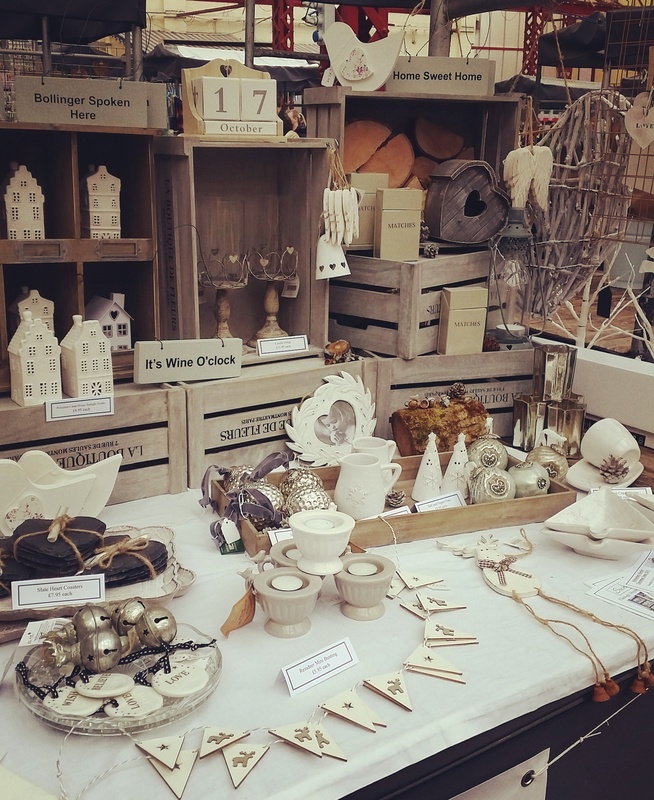 We took our beautiful wares and embraced the Autumn air by showing them off alongside chopped logs and glitter dipped acorns. We even unleashed a few festive wares for our early Christmas shoppers. 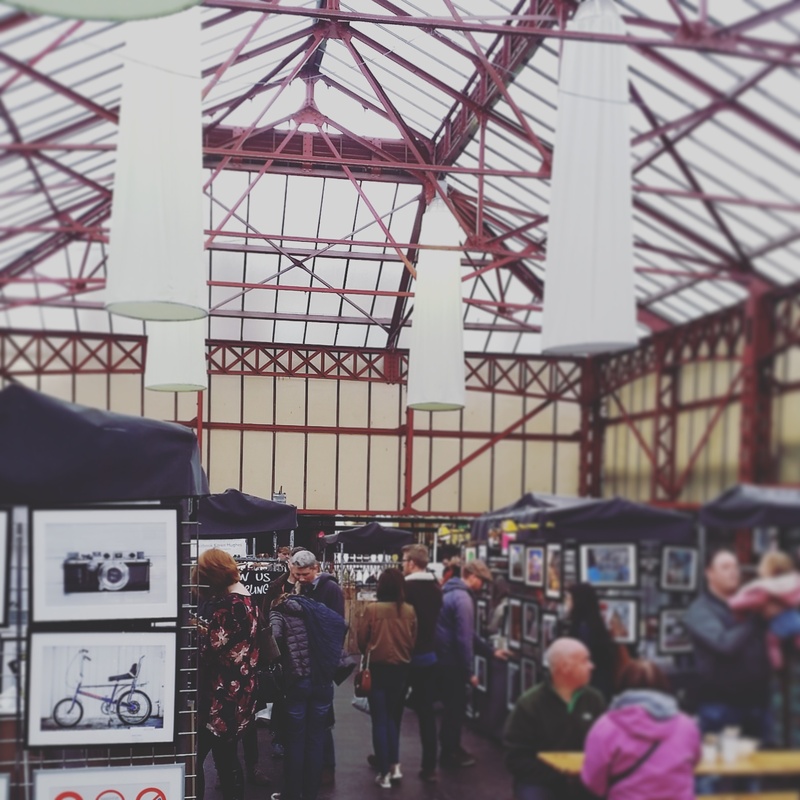 Our next market is on 31st October and it promises to be even better with even more Autumn/Winter wares still to be revealed, I may even bring a pumpkin in honour of Halloween. 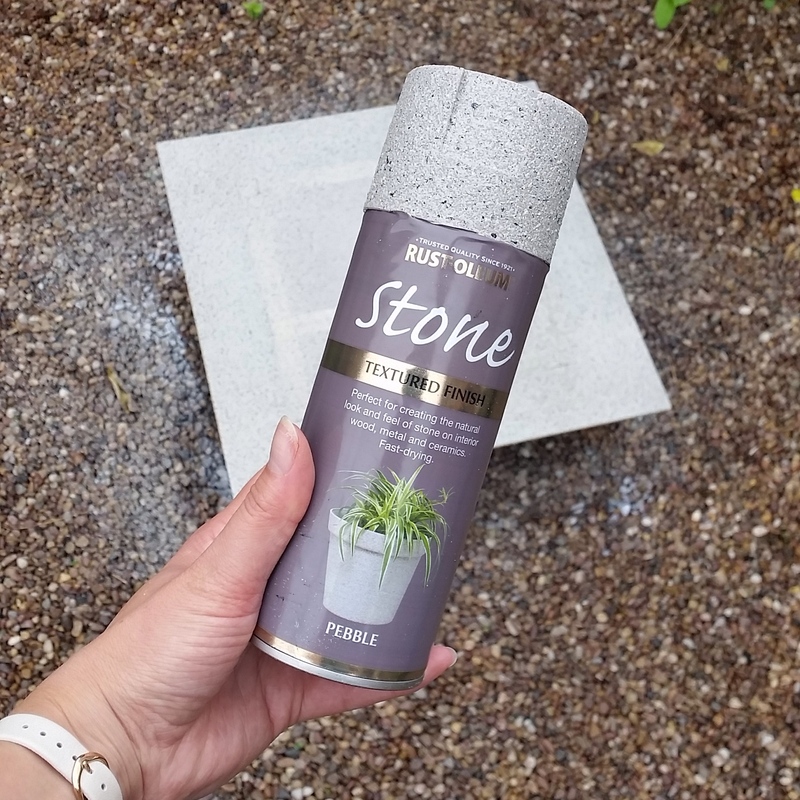 Whilst browsing the aisles of my local DIY store recently, I came across something totally amazing, Rustoleum Textured Spray Paint. Impressed but slightly dubious, I decided to invest in this can of stone-like paint and set off home, pondering what I could possibly transform. 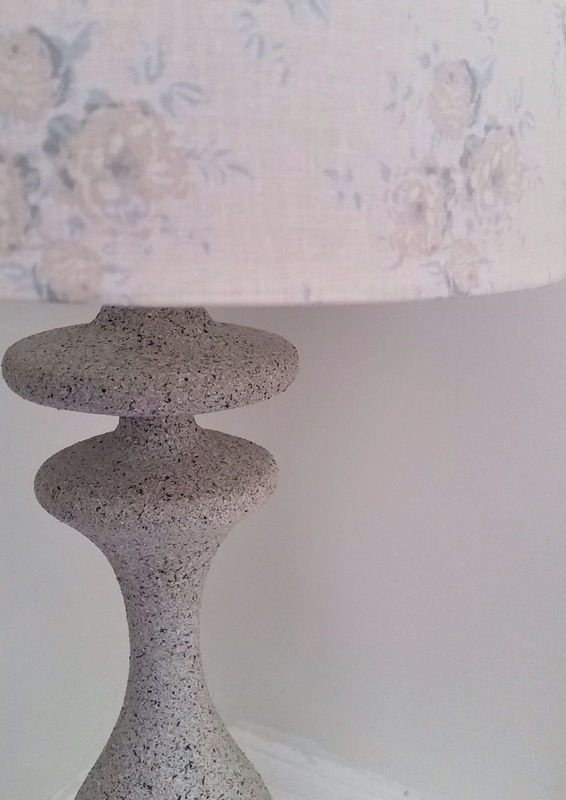 It wasn’t until a few weeks later that I realised I had the perfect upcycling project in my living room, this old purple lamp. I started this project by first applying a white primer spray to the lamp. It took just a few light coats and an hour or so to touch dry before I was ready to get on with the exciting transformation. After a good shake of the can, I carefully sprayed the lamp in an up and down motion, paying particularly attention to the grooves at the top. It took about 3-4 coats to evenly cover the lamp. I allowed it to dry for 15 mins between each coat and then I left it to dry for 24 hours. The effect was amazing! The next task was to cover the lampshade. Armed with my chosen fabric, a pencil, scissors and some double sided tape, I set to work and this was the result.